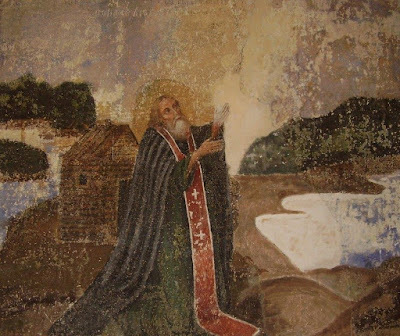 Saint Martinian of White Lake, who was baptized with the name Michael, was born in the year 1397 in the village of Bereznik, about twenty miles from the Cyrilov Monastery. At age thirteen in 1410 he left his parents and went secretly to Saint Cyril of White Lake (June 9), whom many described as a great and holy ascetic. Seeing the holy elder, the pious boy fell at his feet and implored him: "Take me to your place, Master!" Touched by the child's entreaties, the ascetic with joy and fatherly love took him to himself. At that time, near the Cyrilov Monastery lived the deacon Alexy Pavlov, who was known around the area for his art in teaching literacy. The monk called him to him and said: "Friend, fulfill for me the commandment of the love of God: teach the boy whom you see reading and writing, and keep him as the apple of your eye, in all purity." The deacon took the boy with him and diligently followed the order of Cyril, then he was returned to him. It was then that Michael was tonsured a monk by Cyril and took the name Martinian. The young Martinian began zealously to imitate his teacher, with whom he dwelt in the same cell in complete obedience, which included his daily duty of baking bread and cooking. At the monastery he studied by reading and writing, and with the blessing of Saint Cyril, he occupied himself with the copying of books. In time Martinian was ordained deacon and then hieromonk. There he excelled in humility, and would inscribe the books he copied as follows: "Martinian the monk is a false monk and not true." After the death of Saint Cyril in 1427, Martinian withdrew to a deserted island on Lake Vozhe seeking more exalted ascetic feats. Several monks gradually gathered around him and he established Spassky Monastery there and guided the monks as their abbot. Saint Martinian further established for them the Church of the Transfiguration and introduced a general Rule for the monks. Yielding to the persistent requests of the brethren of Therapon Monastery, he consented to become abbot of the monastery and brought it into an improved condition, both in its buildings and organization. 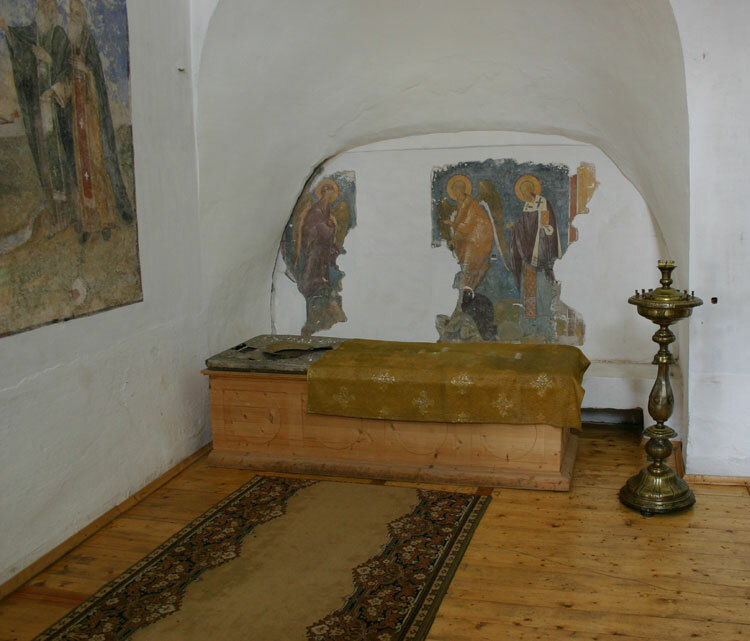 This monastery had been established in 1398 by Elder Therapon, and he reposed there in 1426, so Martinian was viewed also as a fellow founder of the monastery as a successor of Therapon. 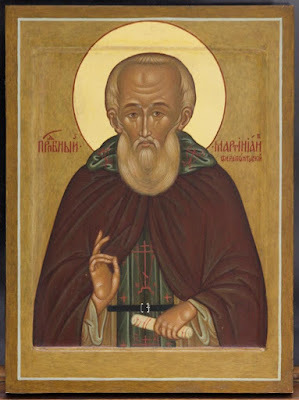 Saint Martinian gave spiritual support to Great Prince Basil in the difficulties of his time, when his first-cousin Demetrius Shemyaka illicitly sought the Moscow throne. He was always an advocate of truth and justice. Afterwards, upon the entreaty of the Great Prince, the Saint accepted the governance of the Monastery of Saint Sergius of Radonezh in 1447. 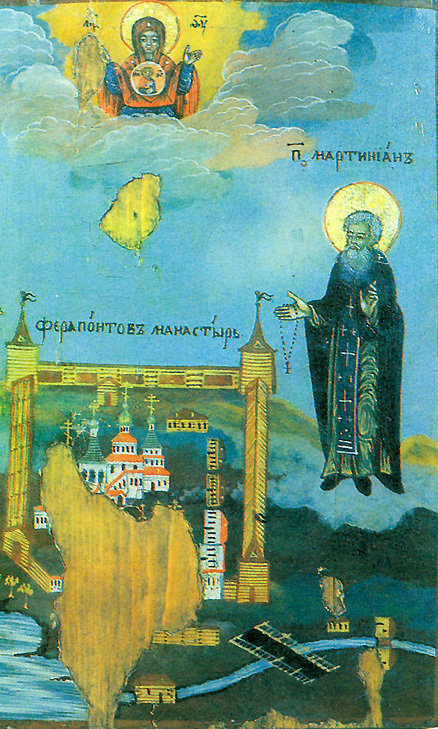 In 1455, Saint Martinian returned to his beloved Therapon Monastery. In 1460 he helped build the Church of the Nativity of the Theotokos. In his last years he was grievously ill and not able to walk, so the brethren carried him to church. 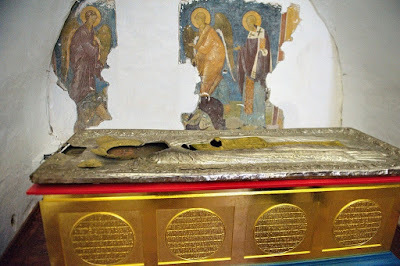 He died at the age of 85 on Sunday 12 January 1483 and buried on the left side of the altar of the Church of the Nativity of the Theotokos. His relics were uncovered and discovered to be incorrupt in the year 1514, during the burial of his pupil Archbishop Iosaph of Rostov, and this event is celebrated on October 7. 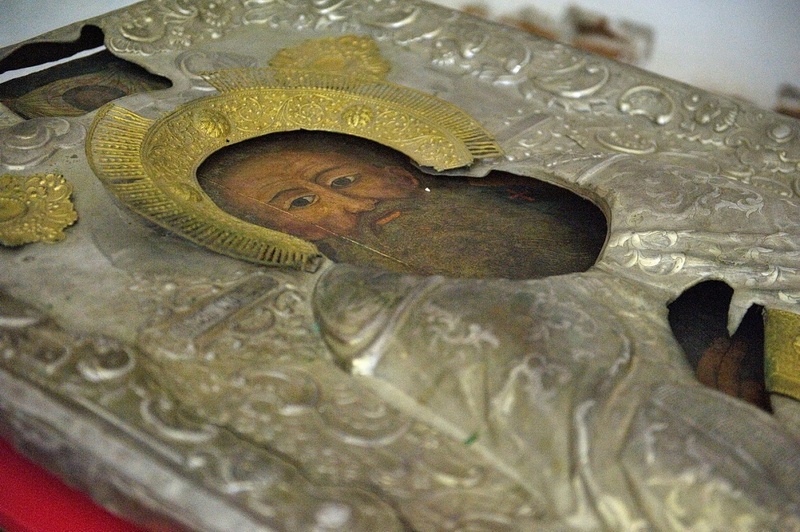 When they found his relics, the coffin had been filled with water, so the people took the water as a blessing, and indeed it became a source of healing when the sick would wash themselves with this water. By the time of his canonization, in the middle of the sixteenth century, nine miracles were included in his Life, and these continued until the twentieth century.